Got a garage door repairs emergency in Perth? We’re here to help with your repairs, (for roller doors & shutters, too) 24/7, 365 days a year! Call us – we’ll be there to fix it within 3 hours. Guardian Doors offer a 24-hour emergency callout service to the Perth Metro area, both north and south of the river. All calls are diverted to the 24-hr emergency call out team outside of business hours. Our emergency response team is here to assist you 24/7, to deal with vandalism, burglary, accidental damage or any operating failure. Our repair and maintenance service is in line with all OH&S regulations and industry standards. Guardian Doors can repair all types of commercial, industrial and residential door products. Emergency garage door repairs in 3 hrs! Emergency response can also be used during working hours for repairs that are urgent. Guardian Doors emergency response is available throughout the Perth metro area, both north and south of the river. Are your emergency calls answered by a call centre? Guardian Doors’ emergency out of hours calls are answered here in Perth by a qualified technician, 24/7/365. Are your garage door technicians local to Perth? Yes, our technicians are based right here in Perth. We cover the whole of the Perth metro and wider area. What is your response time for out of hours door repair appointments? Our standard response time is 1-3 hours regardless of what Perth suburb you live. Can you talk me through my garage door repair? Lots garage door issues can be resolved over the phone. Some require attendance – call us any time of day or night and let us help you with your garage door problems. Can I call out of hours for technical support or advice? Yes, we are here for your urgent garage door repairs as well as offering expert advice every hour of every day! I work during the week. Can a technician call me after hours for a general enquiry? 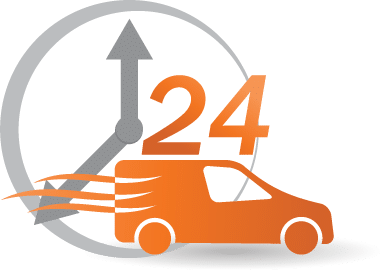 Yes, our 24/7 service will ensure our experienced on call technician calls you back at your selected time of day or night. Do you have appointments available on a Saturday? Yes, if your garage door service cannot be done during the week, we can arrange a pre-booked service on the weekend. Do you offer garage door repair services on public holidays? Yes, Guardian Doors is available for every and any garage door repair or service every day of the year – no exclusions.